Energy brand wants to talk up multifaceted approach to energy challenges. BP is set to launch its biggest corporate campaign since before the Deepwater Horizon oil spill of 2010. Beginning tomorrow (22 January), activity includes a series of TV executions running in the US, the UK and Germany to profile the variety of approaches the energy giant is using to increase production while lowering carbon emissions. These will be supported by outdoor, print and digital advertising in titles including the Financial Times and The Wall Street Journal. The work was jointly created by Ogilvy New York and Purple Strategies, with the films directed by Diego Contreras through Reset (US) and Academy (UK). The global media agency is Mindshare. It follows the publication last year of a report called Advancing the Energy Transition. Speaking to Campaign, BP’s director of brand, Duncan Blake, said the push was "in response to the changing energy landscape – the mix has been changing quite rapidly and that’s been driven by changes in tech and environmental concerns. We felt the timing was good to come in and start talking about this shift." The executions touch on multiple innovations and methods of energy generation, and this breadth was central to its message and objective, Blake said. "The measure of success will be for people to play back that they see that BP are doing lots of things to contribute to this dual challenge," he said. It was less important for viewers to retain a strong impression of any single aspect of the campaign, Blake added, explaining that this had informed the campaign’s media plan. "One of the things we thought about is should we show one TV ad for a period of time and then move onto the next and establish that – but because it’s about ‘possibilities everywhere’, we decided we should run these ads in the same time in rotation." 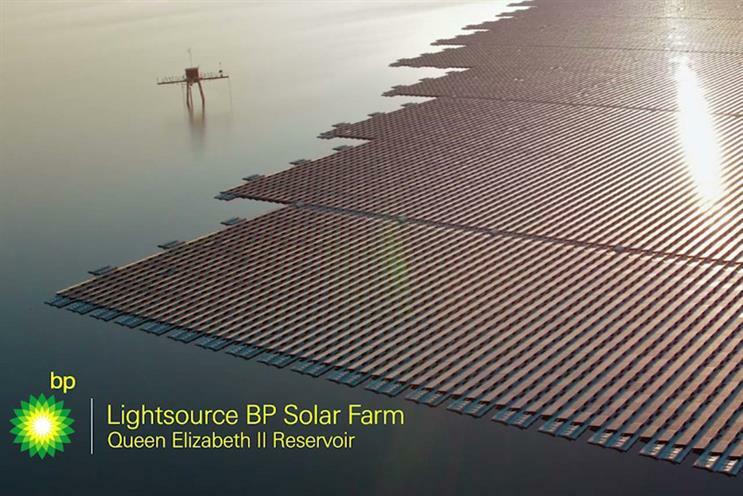 While BP’s campaign has some similarities to recent marketing by Shell – in that both aim to present a range of asnwers to the world’s energy challenges – BP has chosen to focus on approaches that either already or will soon make a significant contribution to energy production. Asked if he felt BP was being radical enough when placed next to its competitor, Blake noted: "They’re targeting a younger audience with their messaging. We wanted to make sure we were very underpinned and were talking about our core business, because we felt that, with that, we can have a very big impact. While we are doing a lot of very innovative things, which you will see, we wanted to have a balance of things within the adverts."